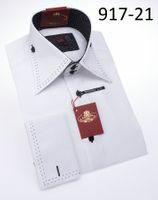 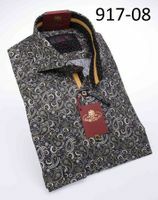 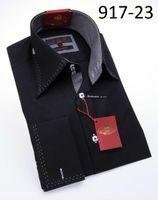 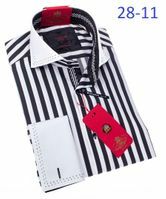 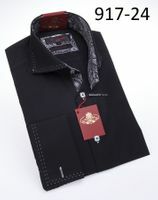 Axxess shirts are men's fashion dress shirts with a total devotion to style that will stand out. 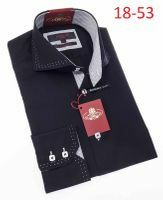 These fashion High Collar Shirts are all designed in Italy and made in Turkey with the very latest all Egyptian cotton fabrics that have a fashion style combined with quality that Axxess is famous for. You'll find with Axxess shirts that it's all the about the detail and you'll find that these fancy fashion dress shirts have bold fashion details like fancy stitch collars and unique button applications just for looks. 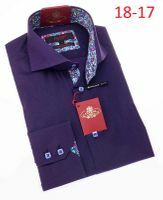 Axxess shirts also like to have their way with exciting looking pattern fabrics and colors made of their fine Egyptian cotton because getting noticed is always important to the good people who create and make Axxess shirts. One of the first things that you'll notice with Axxess dress shirts is that they are high collar style dress shirts that may or may not have several buttons at the top of the button placket just for style purposes. 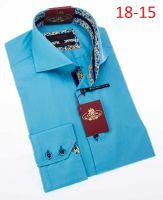 They also like to use unique style stitching detail on the collars and fancy cuffs that usually you can wear flipped up because they will have contrasting fabric trim on the under side of the cuffs and as well as contrasting fabric trim on the button placket on the front of the shirt just so people will know that you're wearing a stylish looking Axxess shirt.